At MWSRP we believe in open access data but also in making that data interesting and accessible. 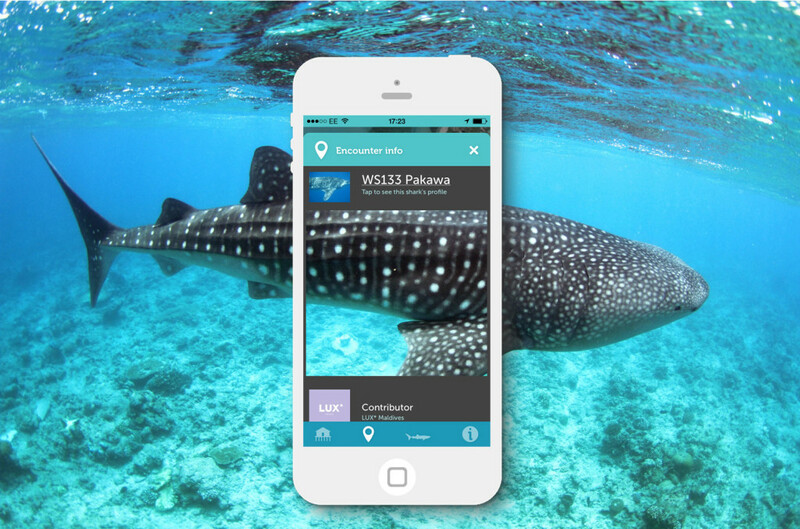 The Whale Shark Network Maldives App is 7 years of data rolled into one neat easy to use application, allowing you to keep track of what we’re up to and what the sharks are up to on a daily basis. 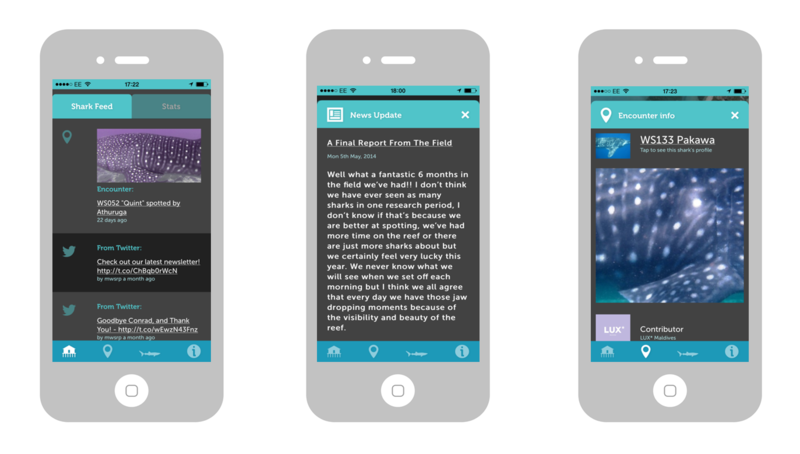 The following is your guide to the main sections of the app. 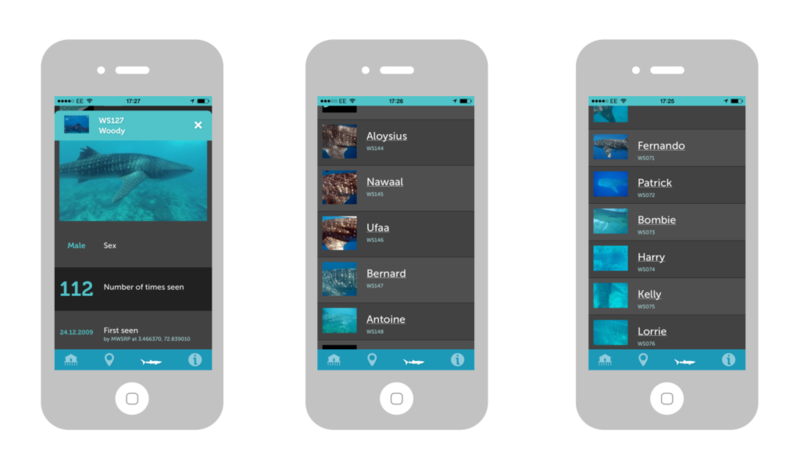 • In the weekly section you’ll get a feel for how many sharks are being seen, where they are being seen and which of the contributors has been the luckiest! • As well as telling us about how many new recruits we have to our register, the monthly section gives some indication as to our impact that month… how many new boat strike injuries were sustained and how long were the whale shark happy to swim with us for? 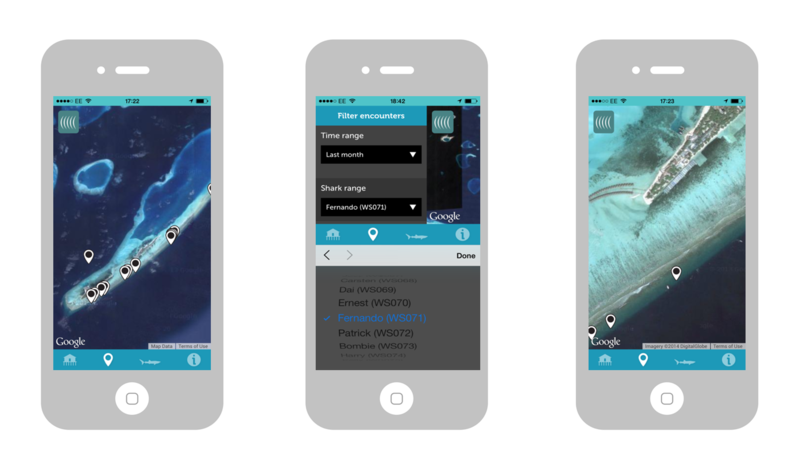 Keep track of where and when ‘your’ whale shark turns up and browse through footage of each encounter as and when it turns up on the Map page. You’ll be able to ‘filter the feed’ (see what we did there) by shark name or by time. For example you can see how the location of whale shark encounters shift between monsoons! 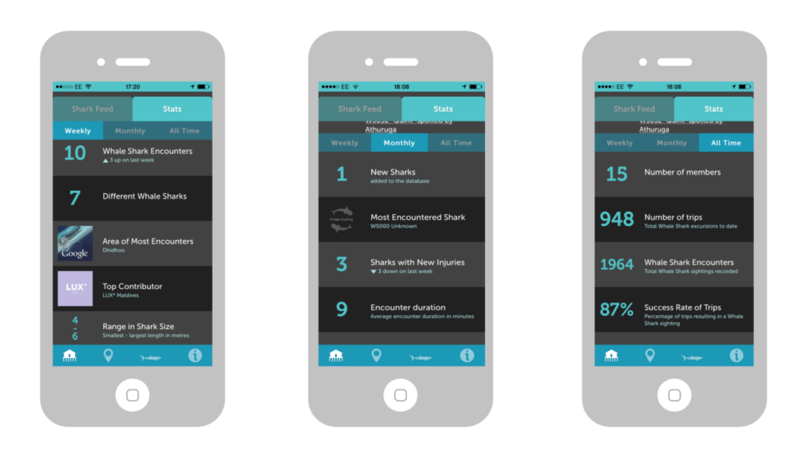 Like a whale shark top trumps! Check out each sharks profile to find out its vital statistics and when, where and who found it first, last and how many times it’s been seen in between! Once you have found your favourite, look up the extent of its stomping grounds on the map!